Jn 1954 the Egyptian archaeologist Kame[ el Mallak discovered two large pits south of the pyramid of Cheops. 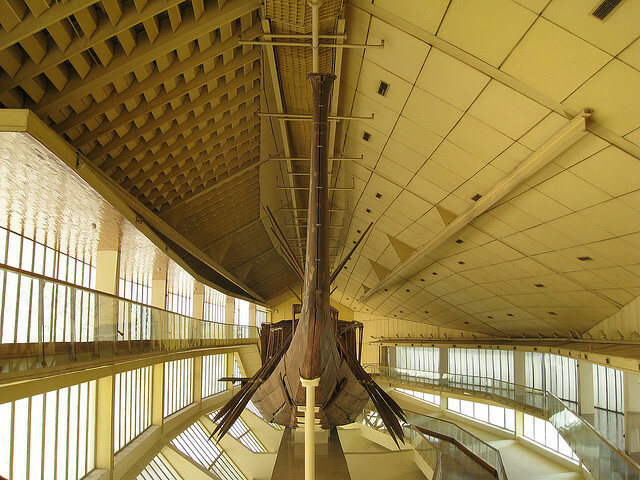 They were covered by enormous limestone blocks wich bore the cartouches of the pharaoh who succeeded Cheops, his son Dediefre. Upon removing one of the stones, a « solar bark » once more saw the light of day. It may even be the one which had accompanied the body of Cheops to Gizeh before he was buried in the great pyramid which the pharaoh had built as his eternal dwelling. 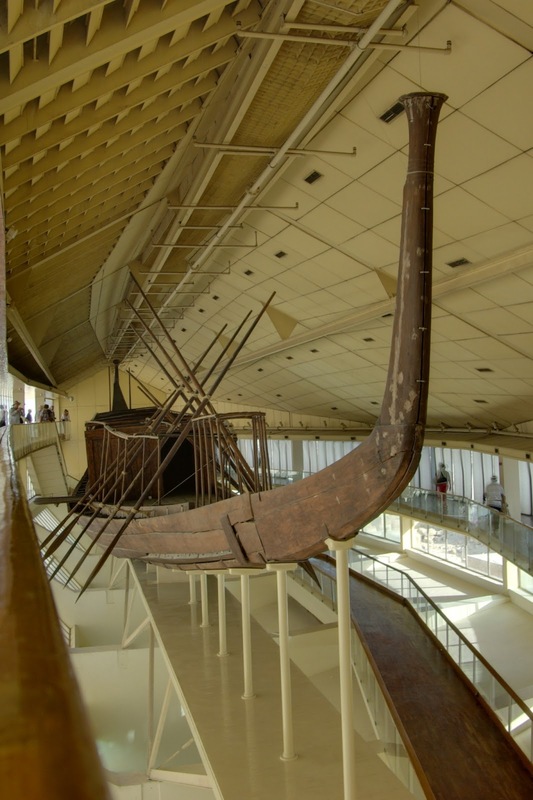 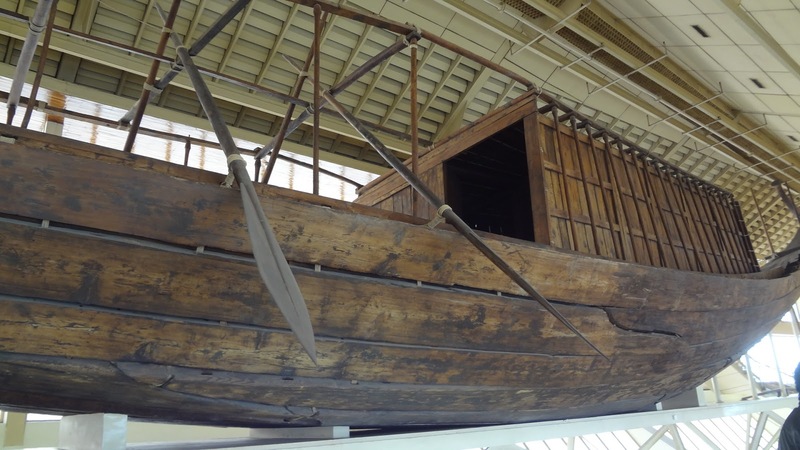 After over ten years of patient work, the boat, once more reconstructed in its original forms, was placed in the museum built expressly to house it next to the pyramid.